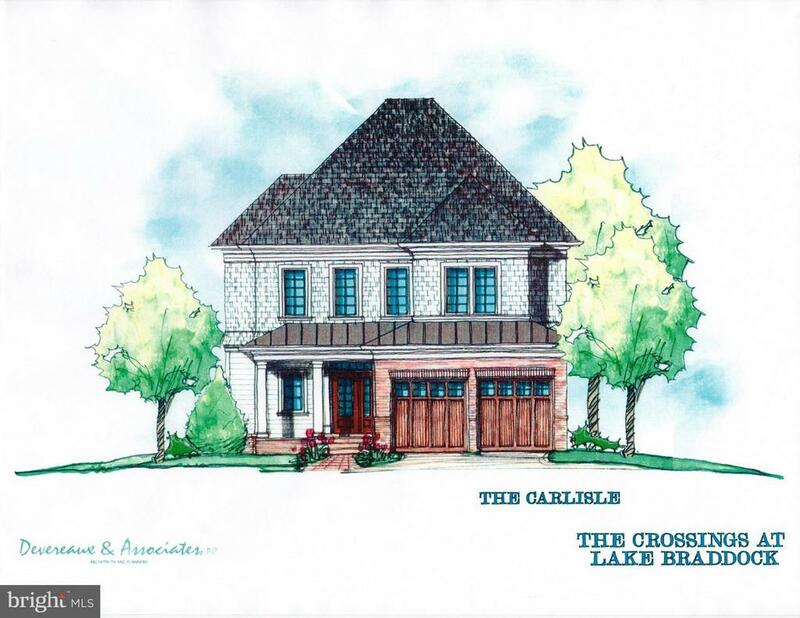 The carlisle by simpsonburke-residential,to be built with enduring quality and timeless appeal, 4300+ sq. Ft. , estimated completion nov. /dec. 2019. Close in and private this neighborhood of 5 single family luxury homes will be finished with the construction of this new design on our largest home-site. Available with exterior brick or optional stone veneer and durable, pest resistant hardieplank shake and lap siding in attractive reveal, 2-zone he-hvac systems with natural gas, he water heater, lo-e casement windows and two overhead garage entry doors w/remotes. Solid 3" pre-finished hardwood in foyer, hall, powder room, great room, breakfast room and kitchen. Oversized kitchen island, owners suite overlooking stream valley with sitting room,complete with luxury bath, and 2 separate walk-in closets. Wide hallway to additional bedrooms 2,3 and4. Finished rec room and game room on the lower level. Optional rear and side deck are offered. Location, location, location, ez access, 495,395, hot lanes, vre, metro bus, bike/hike trails, walk to shop, eat, schools, library. 3 regional malls tysons corner, springfield mall and fair lakes within 15 minutes or, dc, arlington and alexandria within 20 minutes. Families love living on tunwell, ask our homeowners.